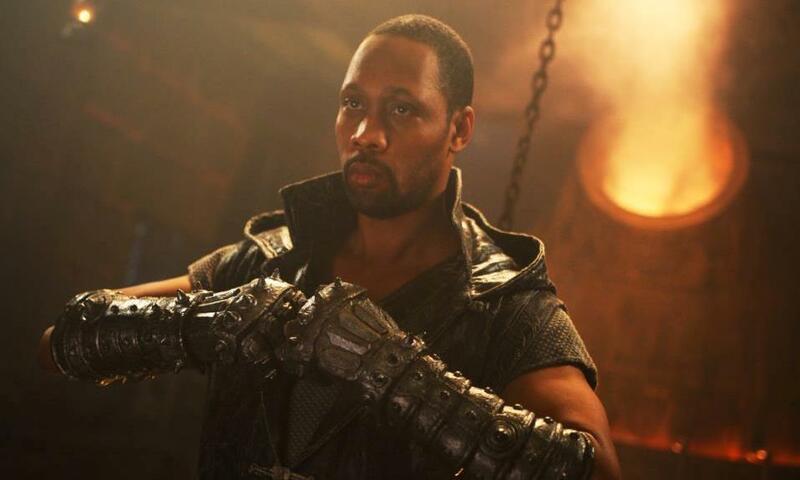 The Man with the Iron Fists is the debut directorial effort of The Rza who is also a founding member and producer of iconic hip hop group The Wu Tang Clan. The group's musical style has always been heavily influenced by old school kung fu flicks and their eclectic soundtracks so this seems like a natural transition for the man who also composed the musical score for Quentin Tarantino's Kill Bill movies. Rza plays a man simply known as Blacksmith since that's what he does to earn a living in a small village that seems to be mostly populated by rival gangs who somehow maintain a constant state of war while managing to not completely kill each other off. If this was Star trek, there would be a never ending supply of "Red Shirts" on standby just waiting to go on that proverbial away mission...but I digress. 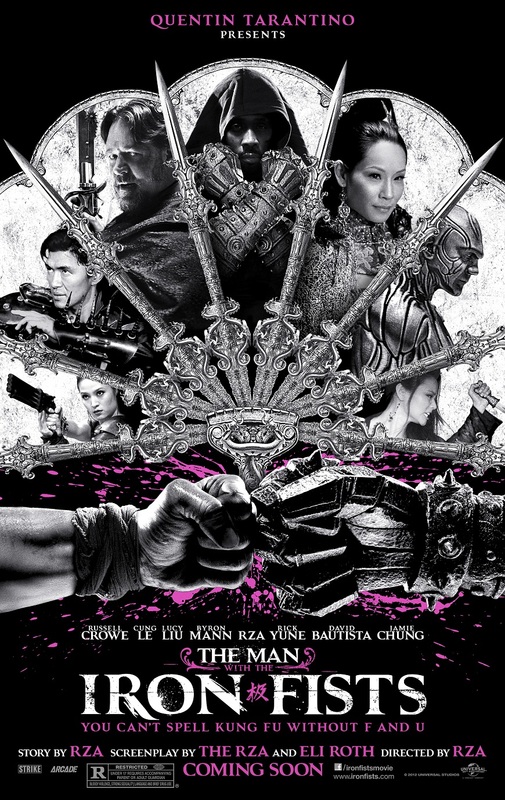 Blacksmith has a plan to get out of town with his woman, Lady Silk (Jamie Chung), but manages to get caught up in all the kung fu style gang violence and basically becomes a weapons supplier to all sides. So, you have the Lion clan who is basically the top dog, so to speak, of all the gangs and they have come up with a plan to steal a shipment of government owned gold that will be passing through the village. 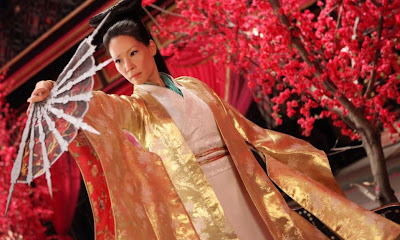 This also attracts the attention of several mysterious people like Jack Knife (Russell Crowe), Brass Body (Dave Bautista), and Poison Dagger (Daniel Wu), as well as Madam Blossom (Lucy Liu) who owns a brothel that houses more than a few unexpected surprises for everyone involved. You can imagine how all of these various characters seem destined to end up in an all out fight for all the marbles...or gold...or whatever it is they are fighting for. And that's exactly what happens! First, I will say that I have been looking forward to this movie ever since the trailer came out about six months prior to the movie's release. 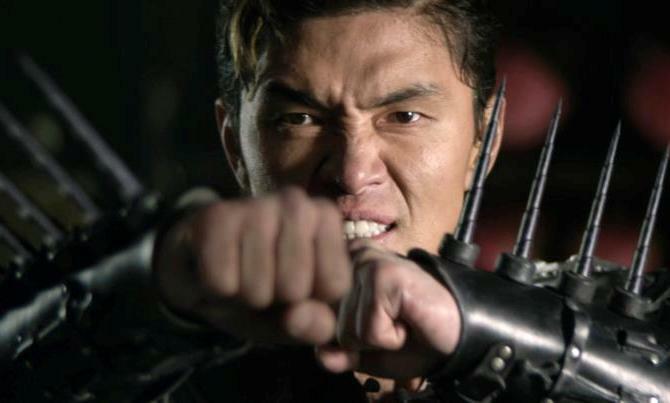 It just looks like it has the potential to be one of the coolest kung fu movies ever considering everyone involved. You have major heavyweights from the world of kung fu movies alongside big time Hollywood actors and a crew that seemingly has the pedigree to make it all work. After watching the movie I was reminded how sometimes a director's first movie isn't always his best movie. It was clear from the very beginning that Rza has a lot to learn and this made for some very awkward and painful moments throughout the story. That being said, its still a lot of fun and you can really tell how the cast really got into making this as entertaining as they could given the material they had to work with. Russell Crowe is especially good in his role and I haven't seen Lucy Liu in a role this good since Kill Bill. Co-writing credits go to Eli Roth who is most well known for movies like Hostel and you can definitely see a little bit of that gore and blood splattering influence throughout the movie. During fight scenes, arms don't just break, they bust open and get pulled apart which is cool and plays well with the dynamic visual style the team has put together. For the type of movie The Man with the Iron Fists is, I would say its good enough and will live a long life on video and on demand, but with the Tarantino name attached to it, I still expected a little more. One of the main things I was disappointed in was the terrible soundtrack and how it clashed with what was going on in the story so badly I just wanted it to stop. This was most surprising given Rza's background as a hip hop producer and how much of a history his music shares with kung fu movies. Hopefully this movie will be a learning experience and we will see better movies down the road from a guy who should be more than capable than delivering straight to video quality.